We do side-by-side comparisons between comparative products, and the results are in! We also show comparisons to the most used camera in the world – the iPhone. In our case, we are using the iPhone 6s. We could put up all kinds of numbers to quantify the image quality, but we don’t find that particularly telling. Instead, we will judge cameras the same way you do, by comparing them to each other side-by-side. We have also amassed the worlds most complete collection of drone camera field of view (FOV) data. Most people want a wide FOV when flying a drone and taking aerial footage – we tell you which drones make the mark. We update this page regularly. If there is a camera you would like to see tested, just let us know! In our test shots there are a few things you should look out for, let’s go over them quickly. For a more complete list of camera terminology, check out our page dedicated to that. Let’s start off with the the most obvious – how crisp and detailed does the image look? It is often assumed that more pixels means more detail, but that is certainly not always the case. In many less expensive cameras the optical quality is not good enough to make good use of all of those pixels. Blurry images can be due to poor lens quality or an out-of-focus camera. Drones frequently have very wide angle lenses. Wide angle lenses typically suffer from what is known as “barrel distortion”, also known as the “fisheye effect”. To be technical, it means that the magnification in the center of the image is higher than the magnification further from the center. Lenses with noticeable distortion include the GoPro and Parrot AR.Drone 2.0. We believe that some higher end drones like the DJI Phantom correct image distortion digitally. All digital cameras employ some kind of sharpening algorithm to make the picture look sharper than it is. Low quality cameras have a habit of applying way too much sharpening with software. Over sharpening can have the affect of making pictures look grainy. The effects are very obvious in images of our test chart. Sharpening algorithms make it very difficult to do apples-to-apples quantitative image quality assessment. Sometimes the image does not have the same brightness or color over the full area of the image. Poor control over uniformity can have different causes, but it is typically poor camera design or errors in camera assembly. Software that is built into the drone can correct for this as long as the lack of uniformity isn’t too severe and the optics are the same in every camera off the production line. Poor uniformity caused by vignetting or an issue with matching the sensor to the lenses. We break our cameras up by the class of drone they belong to. Action cameras are grouped with professional quality drones. These drones and action cameras are the best that we have looked at. We also include the Phantom 3 Standard in this group because its image quality certainly holds up with the more expensive Phantoms. The GoPro Hero4 produces the sharpest image but it is badly distorted. The Phantom 4 is arguably the best balance with great quality and zero distortion. At a fraction of the cost of the GoPro, the DB Power EX5000 action camera has less distortion but lower image quality than the world’s most popular action camera. The DB Power image quality is still superior to drones under $200, making it a great buy for the action camera shopper who is on a budget. At this time we only have test images from the Phantom 3, which we include in the section above. Stay tuned for updates, we are testing new drones all the time. 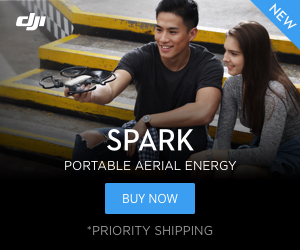 Currently drones in this price range can’t compete with more expensive drones. We expect that to change very soon. Until that day, you may be best off retrofitting a larger drone, like one of the Syma X8 drones, with an action camera. We did this, check out our article. If you already have a GoPro then it is a great choice to mount on a larger drone. We can recommend the DB Power EX5000 as a budget action camera alternative. 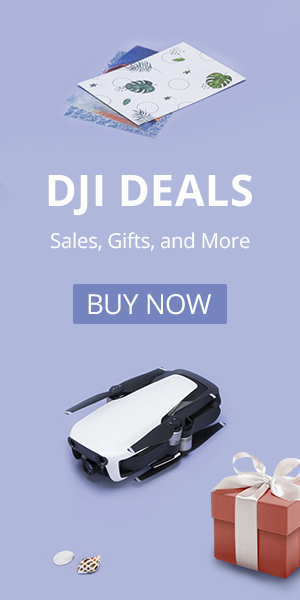 We used the DB power as our comparison standard in this category since it can be adapted onto a larger drone and it has the best image quality. In our testing the Syma X8HG did well as-delivered. The Parrot is slightly better than the Syma but only after we hacked the drone to fix the focus. The UDI 818A HD+ with FPV is good but has some strange color issues. The color issues that UDIs have are much less noticeable when filming live action than when looking at a uniform white background, and that’s why we are still recommending UDI camera drones as good options. The UDI is also the only camera in this class that we have tested that has no barrel distortion. In this category we initially selected the UDI 818A-1 as having the best image quality. The UDI does have some issues with color due to vignetting or perhaps a poor match between optical design and the image sensor. Regardless, the UDI has the sharpest image and the color variation across the image will be much less noticeable when capturing flight video as compared to staring at a uniform white target. Recently, the Syma X5UW has bumped the UID out of the top spot. Despite having only 720p video quality, some minor uniformity issues, and somewhat abusive over sharpening, the Syma X5UW provides the most pleasing images. Unfortunately, our Syma X8W falls flat on its face. Based on other images we have seen online we think we just got an lemon that is badly out of focus. Even the less expensive little brother, the Syma X5C tested with better image quality so we suspect the quality of your Syma X8W will be better than ours. Also remember that you can upgrade your Syma X8W with an action camera. In the photo gallery we also provide a comparison between the Syma X5UW and its less expensive sibling, the X5C. The newer Syma X5UW outperforms the X5C in both image quality and field of view. The Syma X5C wins in this category. The Syma has some overly aggressive sharpening, but you can resolve more details than with the other lower resolution cameras. We measure the field of view (FOV) of our drones and action cameras because that is an important metric for drone photography and particularly for first person view (FPV) flight. Generally, people prefer a wide FOV for both. It can be very difficult to navigate using FPV with a very narrow FOV. We calculate horizontal field of view for every camera we test. More inexpensive drones tend to have a narrow FOV while higher end drones work hard to get a wider FOV. The results are tabulated below and the image shows a few important cameras to give you some perspective of the degree to which they vary between products. Drones identified as red will be more challenging to fly using FPV. The GoPro Hero4 comes in with the widest HFOV at over 120° while the Phantom lineup is in the 73° to 84° range in our testing. The only thing we do to the pictures is to adjust brightness to make the images easier to compare. We don’t use any other settings that affect contrast, sharpness, “exposure”, white balance, etc. Image testing is done with a target that is about 44 inches (1.1 meters) wide. This means that wide angle lenses like the GoPro may be closer than 12 inches (0.3 meters) away from the image target. This can affect image quality for fixed-focus cameras like the DP Power EX5000 which may not be designed to focus so close to the camera. Our GoPro Hero4 has a couple scratches on the lens from some accidents that it endured. This has the affect of decreasing contrast in some parts of the test image. Horizontal field of view (HFOV) is measured with an target that is 44 inches (1.1 meters) wide. The FOV may be different for objects at infinite focus. Some manufacturers, like DJI and GoPro publish corner-to-corner FOV. Our calculation of equivalent focal length is based on the HFOV, and the calculation assumes a 3:2 aspect ratio image and no image distortion. For these reasons our reported numbers may differ from manufacturer stated values, particularly for highly distorted images like the ones that a GoPro produces. We calculate FOV by measuring the distance from the object to the forward lens of the camera and comparing that to the width of the object.